Fabric, Felt, Hot Glue and a Cord. Cute Bib necklace! Find out the how to here. One of the best new ideas I have seen around blog world. 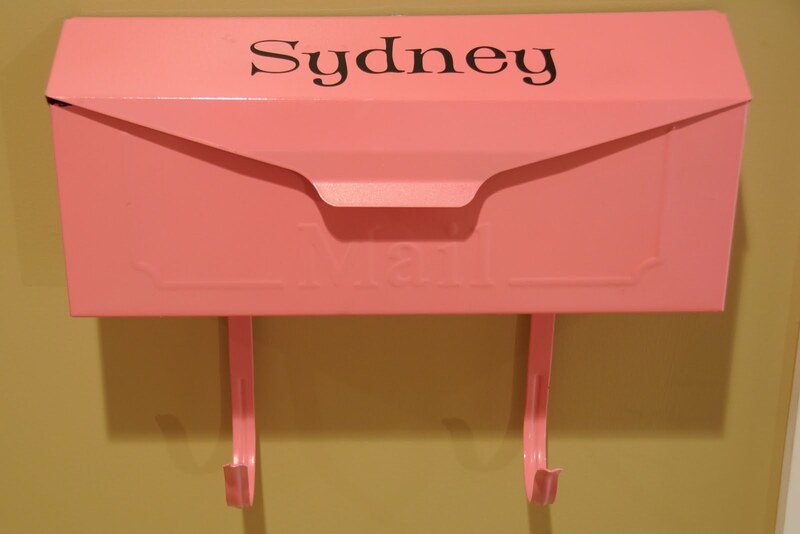 This is a mailbox from Lowes she made so cute. In our dream house I will have a mud room; right now I don't but I could have these. I love that they even have hooks for bags and jackets! Check out The Polka Dot Chair she made more. She took a Glass Cutting Board and made Art. Check it out here.